For the last eight years, Morten Aspås and Anne Østbø Brevik have spent every summer biking around all of Norway. During the fall they’ll release a book about their experiences, with the purpose of making people aware that a biking holiday is the ideal way of exploring our longstretched nation. They hope to prove that a biking holiday in Norway is something everyone can do, not just the young and fit. “Our plan was originally to go hiking in mid-Norway, but the weather was awful. When we checked where we should go to get some nice weather, the forecast showed us Østfold. But there’s no mountains there, so we decided to bring our bikes instead, says Morten Aspås about how the project started. Starting in Halden, Østfold, the couple have been all around the country, starting where they left off the year before, and eventually ending up in Alta, Finnmark, all the way up north. Morten emphasizes that the tempo has always been calm and slow, and that the biking never has been about excercising or training. - Of course you get some training effect from riding on a heavy loaded bike, but our ambition was always to see the country and get to know it better. What places that are the best for biking all depends on the weather, according to Morten. - Biking is an activity for days with nice weather. If it rains a lot, it’s not nice to bike anywhere, says Morten. 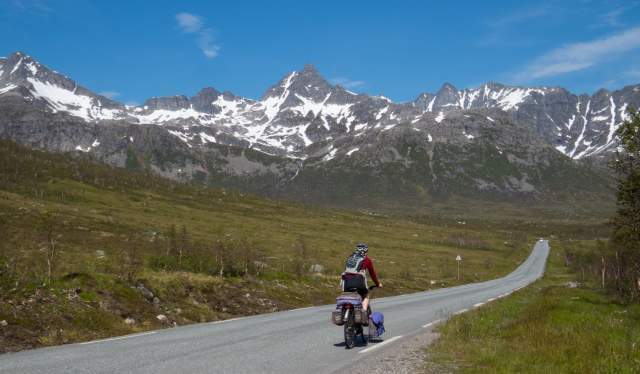 However, if the weather gods are on your side, he recommends going for a ride along the coast of Helgeland and further north, or on the southern parts of Fjord Norway. - You’ll have a nice experience regardless of where you go, Morten states. 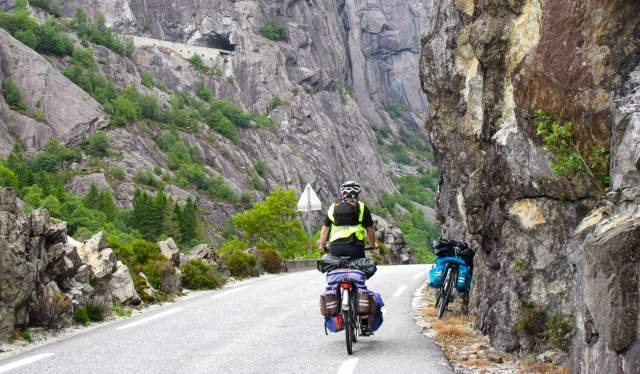 It doesn’t matter where you start if you want to go on a biking holiday in Norway. There are pearls to be discovered everywhere. - Pick an area you are curious about, and try to find a route with little traffic, is Morten’s advice.